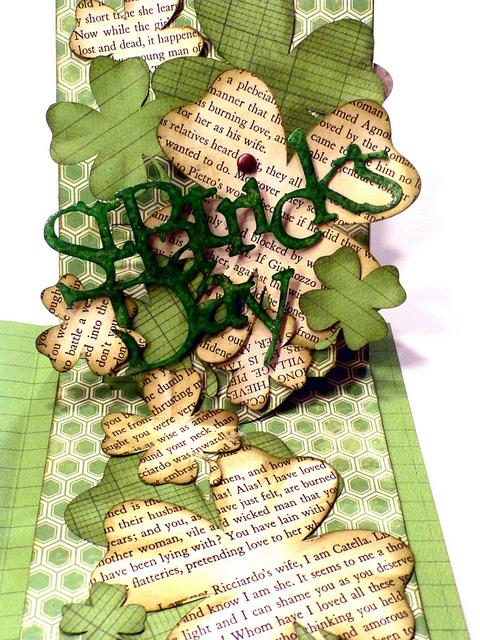 The Gentleman Crafter: Happy St. Patrick's Day...Card! 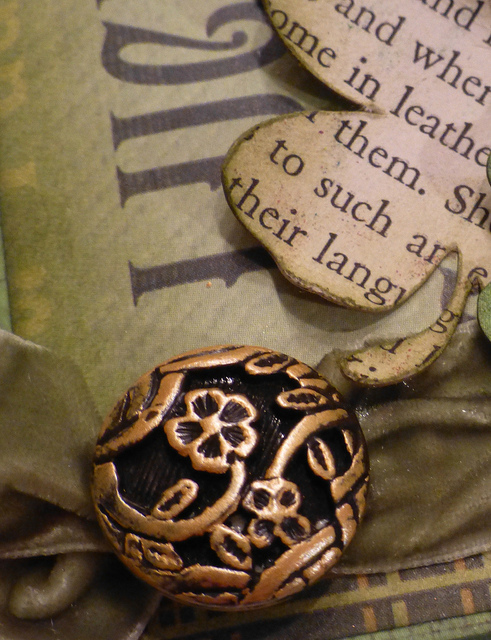 Dies For The Card Base Can be found at Inspiration Emporium Here! Thanks for coming by! 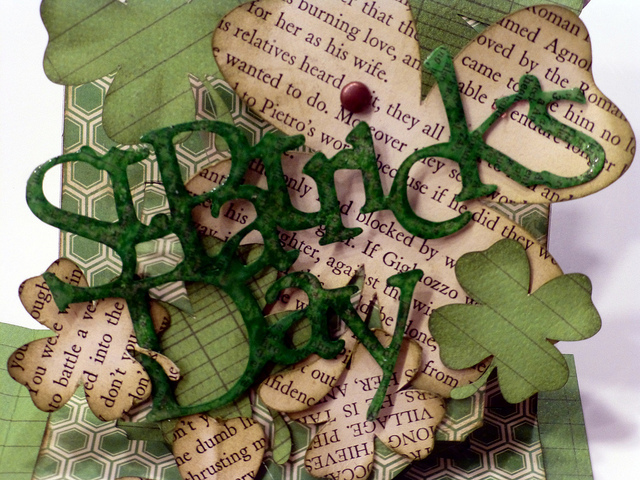 I hope you all have an awesome St. Patrick's Day! What an amazing Pop - up card Jim! Some of my favourite colours too! You have a knack of taking an already good idea and adding 100% touch of Genius to make something with a real WOW factor! I love it. Oh be stoppin' the blarney. Ye's the son of St. Patrick for sure. And would we be havin' a nip of the fine Guiness today? Ye card's a glory. That bein' said, a happy day of the Irish to ya? Jim, this is absolutely stunning! The variety of greens is a feast for the eyes. What a happy card. Cool card Jim. May the luck of the Irish be with you this fine day!!!!! Lovely lovely card. Thanks for all the good Irish greetings. How did you cut the 'St. Patrick's Day'? Did you use a die? May you always have the wind at your back. Wow, stunning card, you really must show us some tips on the pop n cuts! I love how you have the tophat adorning the shamrock! Happy St. Patricks day to you and Cesar!! Happy St. Pat's day to you, too! LOVE your card! Not only is it St. Patrick's but full of beautiful spring-green...beautiful! absolutely gorgeous,i just shared your post with my sis and her gentleman irish man,they loved it...happy St Patrick's Day to you too. Wow Jim, Fabulous card. Have a great St Patrick's day. A roof for the rain, tea beside the fire. Beautiful card, Jim! Happy Spring! 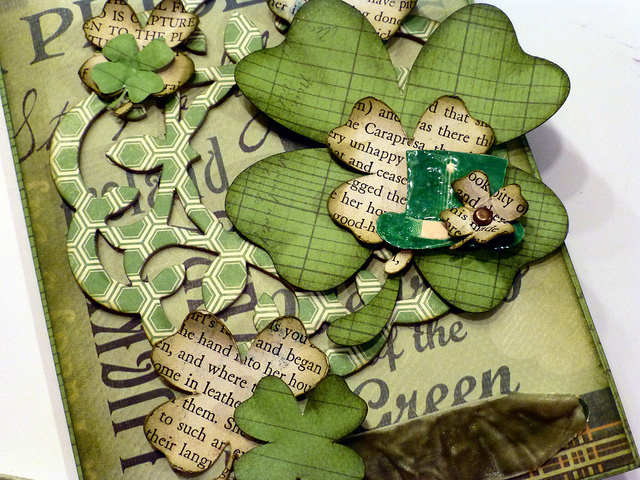 Absolutely gorgeous....what stamps or dies did you use for the shamrocks? They are so nice. Hi Jim, I found you yesterday searching through you tube then your blog.... Love your work and style. Great card today so fresh and spring like! Oh wow! I didn't even realize this was a PNC card when I saw the front on FB! So glad I came here to see it full size! 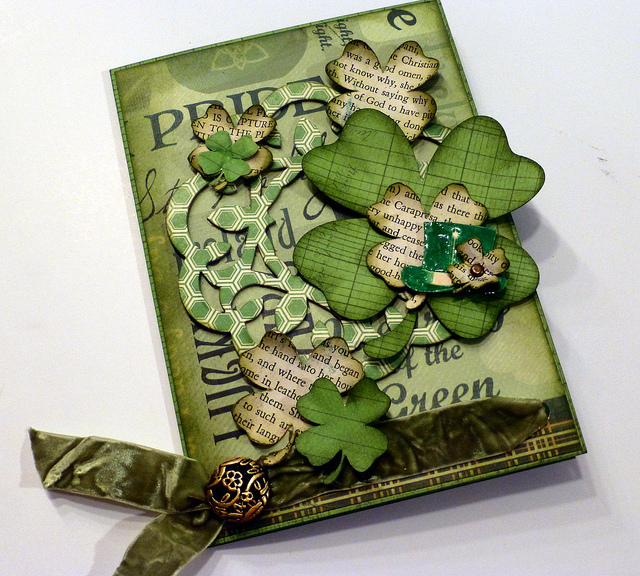 Amazing card - so rich and layered and I love the way you combined the card folds. There's a lot of green going on here (tee hee) with lots to look at, but it looks terrific! I think you just invented the "double pop" pop card! Better copyright that phrase before someone else does! Love it! forgot: HAPPY ST PATRICK'S DAY TO YOU AND CESAR!! Happy St. Patrick's Day to you too! I love your card! Hmmm... you sure know what you are doing with that Pop N Cut... mine is still in the package! Must give it some play time!!! Have a fabulous rest of the day! This card is amazing!!! I think I need one of those dies. Happy St. Patrick's Day! Be still my heart! Your card is just scrumptious! Stunning Card. I am green with envy. You are very talented. Thank you for sharing your amazing ideas and projects. Great card! I am surprised to learn that you are just now adding pop-ups to your bag of tricks! You sure learn fast, though! 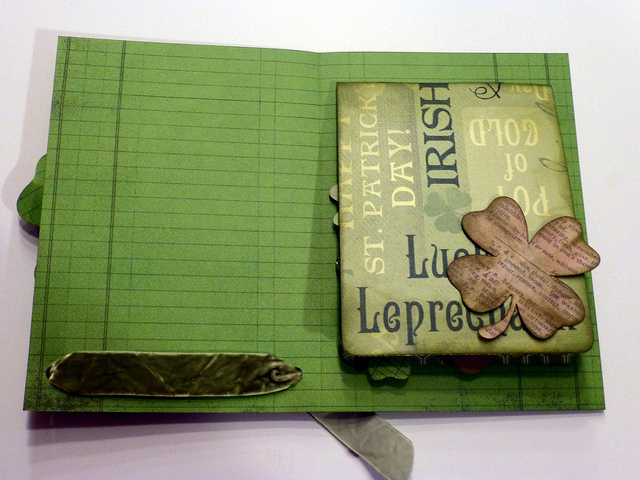 Love your St. Paddy's card! I have yet to do the pop-ups, but now am inspired to try! Hope your day was a great one! I held a Tattered Floral Tea for the family to celebrate! Love the St Patricks card. You have a real talent for wow gold putting your thoughts into clear, original content. Your article is easy to read and understand. You have brought forth some buy world of warcraft gold really good points that I agree with and appreciate.